Give toilet paper roll a second life, the life of your favorite animal or creature! Create unique experience to your collections of “Hong Kong Pop Up”! 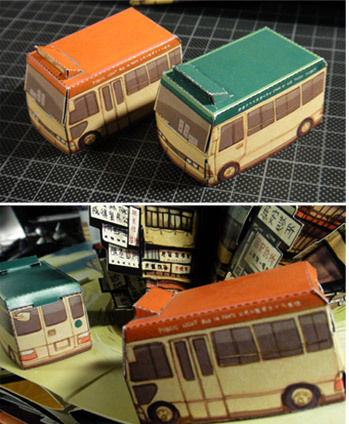 Download the paper models and pop them up: Hong Kong Minibus are ready now. 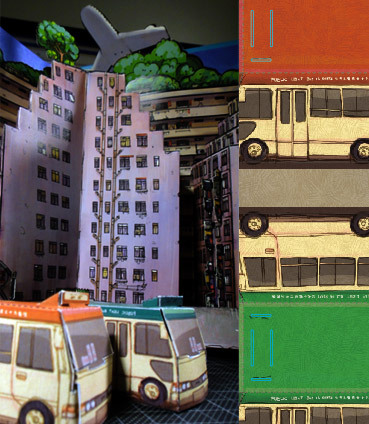 Hong Kong would not become a dynamic and bustling city without the contribution of efficient transportation system, in which public light buses played a key role here. The public light buses serve the whole Hong Kong and they can carry a maximum of 16 passengers, provide feeder services to mass transport interchanges. Red Minibuses are ones leased to drivers. They are unregulated, may set their own fares and operate flexible routes and timetables. Green minibuses are regulated by the Transport Department. They operate on fixed routes with fixed fares and timetabled services. Create unique experience to your collections o “Pop Up China”! 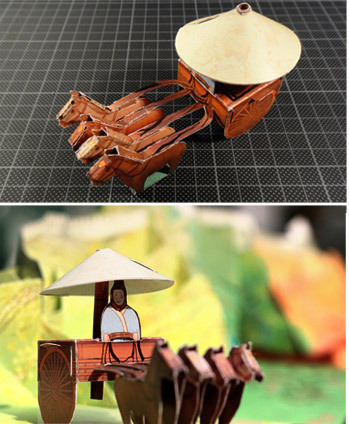 Download the paper models and pop them up: Bronze Chariots and Horses will be coming soon. Two bronze chariots and horses came unearthed in 1980 from the archaeological site of the Terracotta Army of Qin Shi Huang, the First Emperor of China. 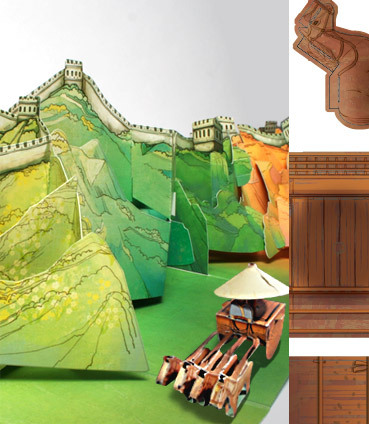 The site is a treasure which shows Qin Dynasty’s military affairs, science and technology, art and culture. It is listed as the World Heritage and is commonly known as the Eighth Wonder of the World. The Bronze Chariots and Horses are tagged Chariot No. 1 and No. 2. They are half size scale-models of real chariots and horses, faithfully copied down to the last detail, completed with horses and people. They represent the largest finds of earliest delicate fine bronze work anywhere in the world.